Shae McNamara is former two sport professional athlete, playing basketball and Australian Rules Football. He played professional basketball in Munich, Germany and in Melbourne, Australia, and played Australian Rules Football in Melbourne, Australia. Shae was a trailblazer, by being the first American, born and raised athlete, to play in the Australian Football League (the top league in the sport). 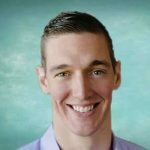 Using his experiences from his athletic success and from his unique life circumstances and experiences, Shae has now started a new career in Peak Performance and Mindset Coaching. His business is called Diamond State of Mind LLC, stemming from his nickname while playing Australian Rules Football, “Big Dyman” (Diamond) – based from him being 6’8 and from how incredibly unique journey to the AFL. Shae empowers individuals to perform their best under pressure, so that they can feel unbreakable while on their path to brilliance. He has many proven systems to help guide individuals to empowerment and to manifesting their desires. For him, it all starts with pointing to the truth that we all struggle to come to terms with – that we all are unique, beautiful, blessed and powerful individuals. This is where Shae’s heart pours out towards Generations Against Bullying. He wants to help provide the tools to those who have forgotten their uniqueness, beauty, blessings and their power. If you’d like to learn more about bringing Shae to your school, please visit our website, www.gabnow.org or contact Generations Against Bullying at 414-241-2465.